Read the article published in the Sydney Morning Herald here. TAHPI’s Australian parent company Health Project International are proud to have been involved in the design of National Rugby League (NRL) club the Manly Sea Eagles $20 million centre of excellence. The building design inspired by the shape of a Sea Eagle represents a major update to the club’s existing facilities and is part of a bold plan to transform it’s Narrabeen home on the Northern Beaches of Sydney. The plans including HPI’s architectural designs were submitted by the Manly Sea Eagles late March 2017 in the hope of securing $10 million of the $40 million of state government grants available for sporting infrastructure projects. 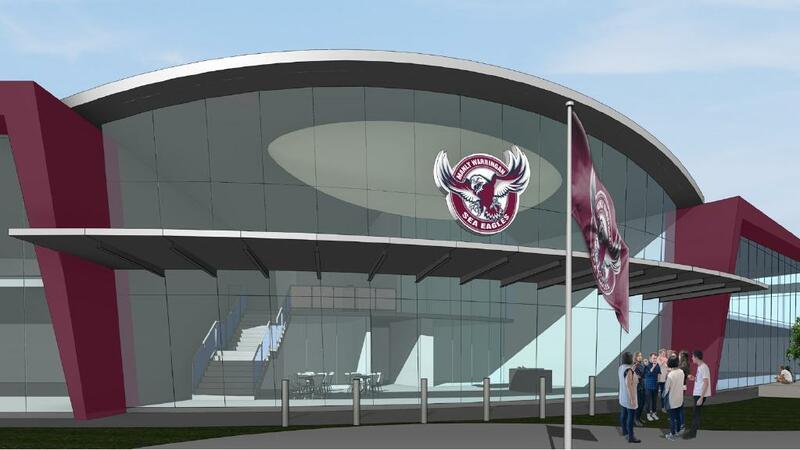 The Sea Eagles are hopeful of securing the funding and moving into the new premises for the start of the 2019 season. The project has been the major focus of senior executives including Manly CEO Tim Cleary since beginning his tenure at the start of the year. The centre of excellence will be a one-stop shop for the players, with an indoor training hall leading directly onto the established sporting ovals to avoid them being bused to multiple locations. Much of the two-storey, 4250 square metre facility will be available for public use. There will be medical, educational and childcare components under the plans designed by architect Health Projects International and project manager Artazan Property Group. For more information on how TAHPI can assist you with your Health facility project contact us today.